We got up early at the Radisson Hotel for our first full day in Branson and had a quick breakfast. 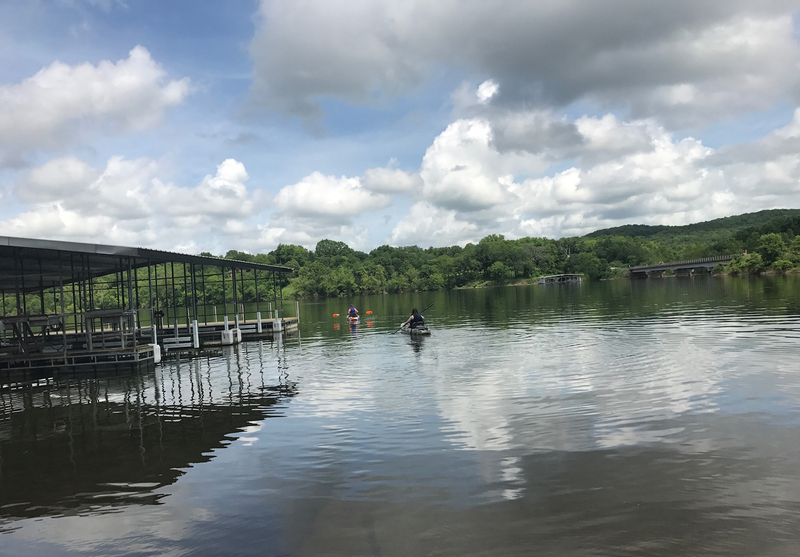 Marsha, Brittany, Amanda and I got in the car and headed to Table Rock Lake, where we were going kayaking at Flat Creek Resort in Cape Fear. It was a scenic drive on winding roads, something we didn’t see in Central Illinois. 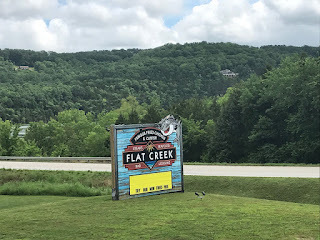 Flat Creek Resort is Just outside the city of Branson and we had been invited to check it out, specifically the kayaking. It was something new they started this season and everyone was excited to be out on the brand-new boats, especially Brittany, who was trying stand up fishing from a kayak for the first time. The staff helped us get started. After Brittany did the fishing kayak for a while, she joined Amanda, while Marsha and I in the other tandem kayak. 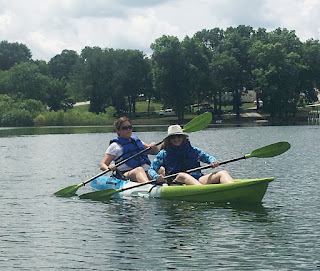 They were much sturdier than kayaks I had previously been in. It was the perfect partly cloudy and warm day to be out on the water. It was the most relaxing hour I’d had in a very long time. 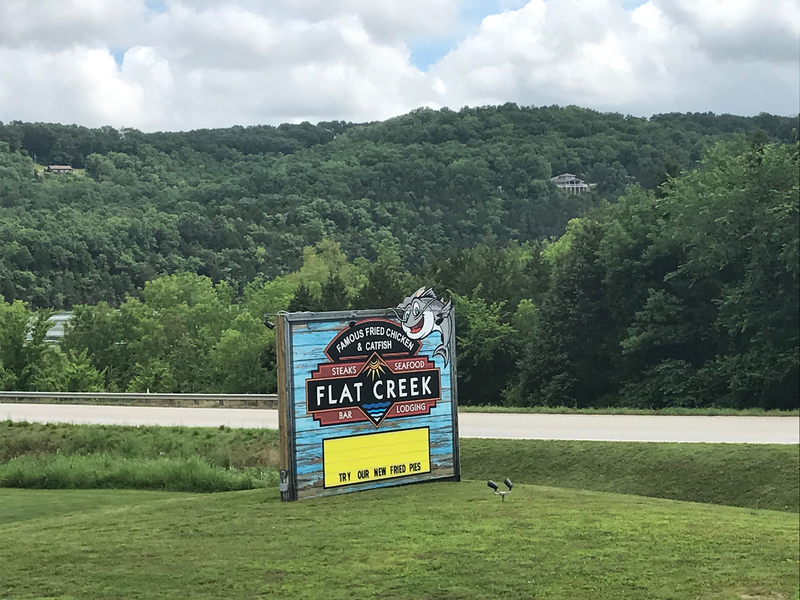 Flat Creek Resort itself isn’t very big, but the lake availability is huge, as is the very popular restaurant and bar. 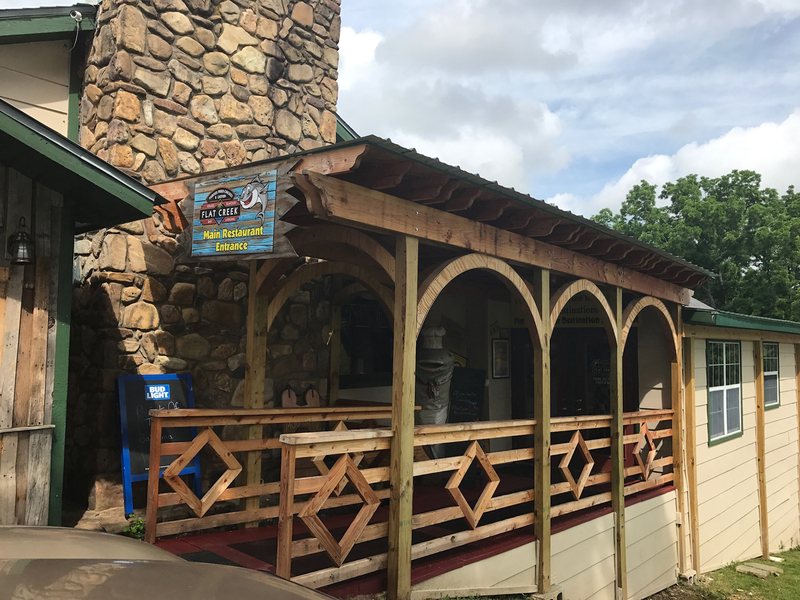 After kayaking we went to the restaurant and found out why so many people, especially locals, come out here. 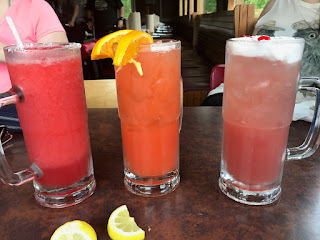 The Relaxer-Blue Chair Bay Coconut Rum , Peach Schnapps, Skyy Vodka, pineapple juice, and cranberry juice. Bahama Mama-Captain Morgan White Rum, Blue Chair Bay Coconut Rum, banana liqueur, pineapple juice, orange juice, and grenadine. Grateful Dead Margarita-Skyy Vodka, Tanqueray Gin, Captain Morgan White Rum, Cazadoras BlancoTequila, Chambord, and house made sweet and sour. Everything on the menu looked fantastic and we were really hungry so we got a little carried away. 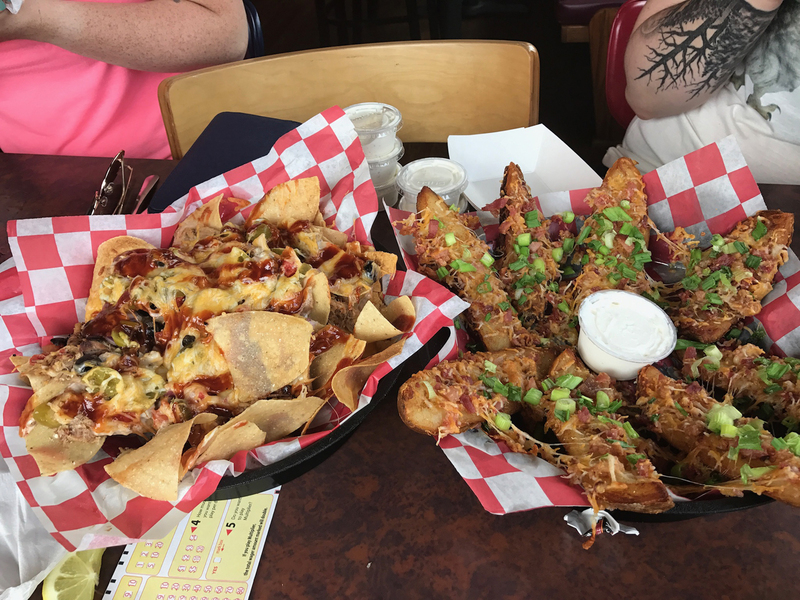 We started with the Pulled Pork Nachos Supreme and the Loaded Potato Skins while we made our decisions for main dishes. We chose the right ones. 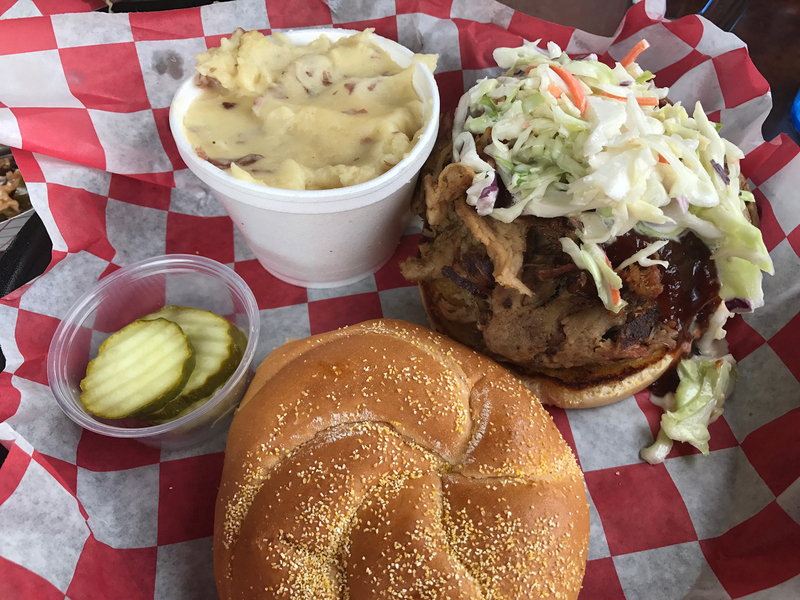 Amanda and I had the Hawg and Slaw, a pulled pork sandwich topped with cole slaw, and the mashed potatoes. Marsha had the brisket salad. 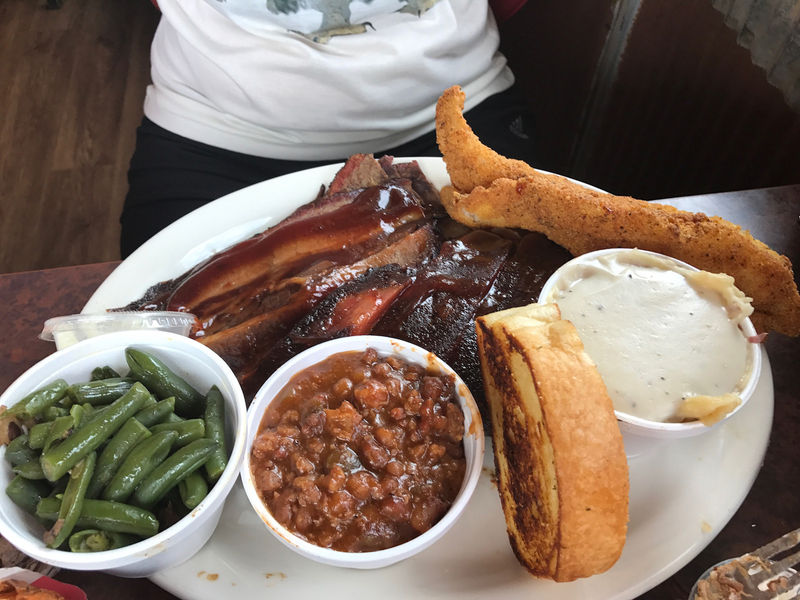 Brittany had an assortment, ordering the Flat Creek Trio: Ribs, Brisket, and Catfish with two sides (she had green beans and baked beans). As full as we were (our “doggie bags” were quite big), we could not resist the desserts our waiter was offering. 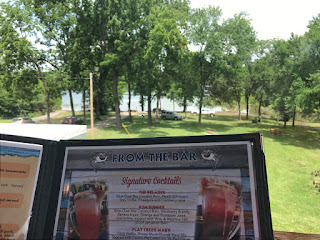 After we left Flat Creek, we went back to the Radisson Hotel to chill for a while before our 4:00 pm Showboat Belle Branson dinner cruise. 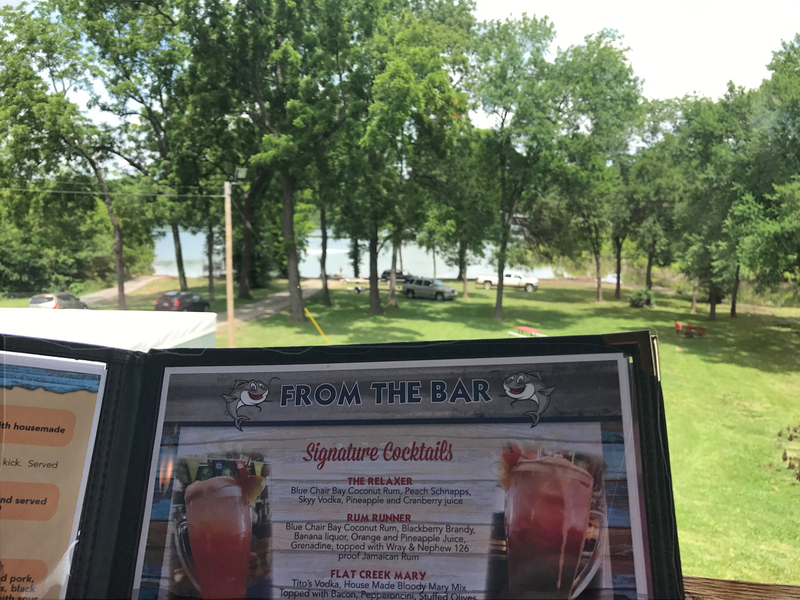 We made the short drive to White River Landing for the boat. 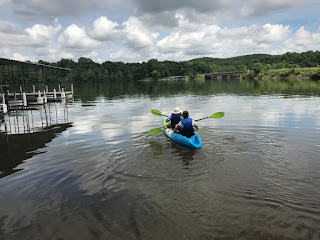 We were disappointed that it was starting to drizzle, but I noticed that the boat was very large and mostly indoors. 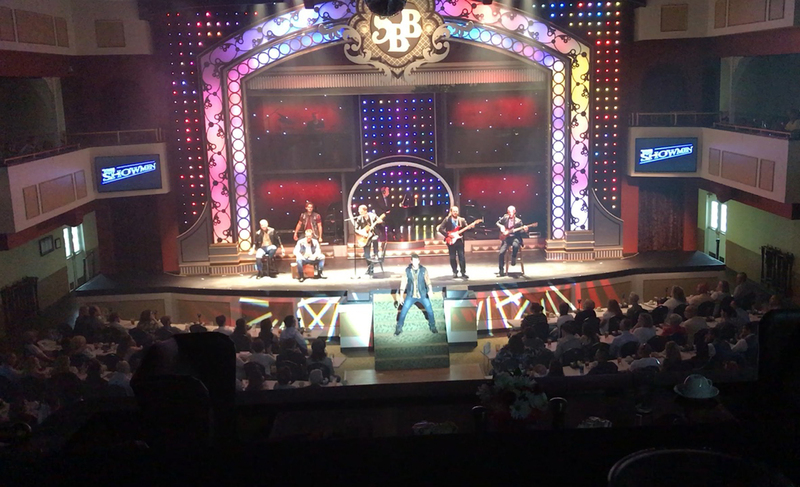 I had been on a lot of dinner cruises, but the food and entertainment on the Showboat Branson Belle was top notch. We had a choice of steak, fish, or pork chop with vegetables and potatoes. Soft drinks and dessert, turtle cheesecake or chocolate cake. Didn’t eat much. The boat is beautiful, clean, organized and very well kept. 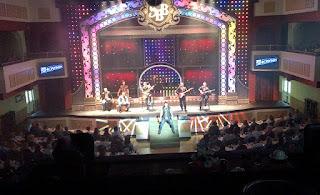 Our table (premium section) was in the perfect position to see the show. Performers were fantastic. I loved the Billy Joel medley as I had been about overcome with country music prior. The clouds were quite ominous, though it didn’t rain hard. We took a walk outside. No sunsets on this night. We had talked about doing something after the show, but we were all wiped out so we just enjoyed the pool and jacuzzi when we got back to the Radisson Branson before bed. 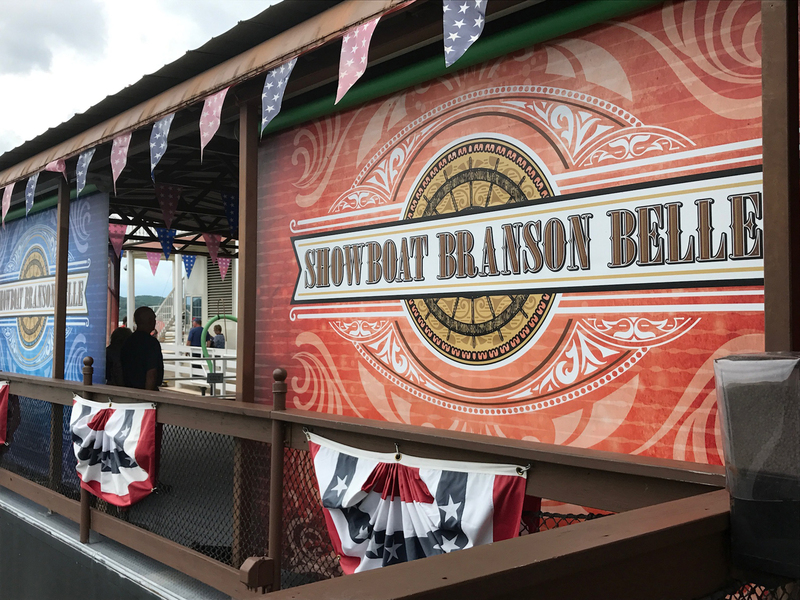 We had another full day ahead in Branson, Missouri to come.